Manufacturer Supplier and Exporter of Decorative Animals, We developed decorative table top and Garden Animals in Aluminium Metal, Brass Metal and Iron Metal and We also make Brass Metal Nakkashi Work Decorative Animals and Our Wide range Aluminium Bear, Aluminium Camels, Aluminium deer, Aluminium Elephants, Aluminium Giraffe, Aluminium Horse, Aluminium Kangaroo, Aluminium Fish, Aluminium Frog, Aluminium Giraffe, Aluminium Lion. Aluminium Duck, Aluminium Frog, Aluminium rabbit, Aluminium Snail, Aluminium Tortoise, Aluminium Aluminium Swamp Deer, Aluminium Snail, Aluminium rabbit, Aluminium Pair of deer, Aluminium Penguin, Aluminium Dinasour, Brass Bear, Brass Camel, Brass Deer, Brass Elephants, Brass Fish, Brass Frog, Brass Giraffe, Brass Horse, Brass Kangaroo, Brass Lion. Brass Duck, Brass Frog, Brass rabbit, Brass Snail, Brass Tortoise, Brass Swamp Deer. 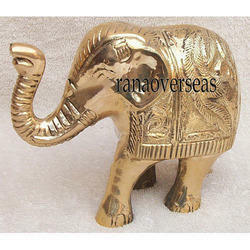 Clients can easily avail from us a striking range of Brass Elephant that is brilliant in its design, texture and finish. The offered statue is elegantly crafted by our skilled artisans and craftsmen from the finest grade wood in accordance with latest market trend. In order to ensure unmatched quality, it is also tested on several parameters of design, shine and finish. 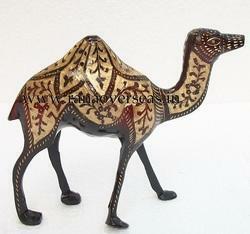 Additionally, this statue is available in both standard as well as customized form at economical prices. Metal Dragon Rana Overseas leading Manufacturer, Supplier and Exporter of Metal Figurines, We have a wide range of Metal Figurines in Brass, aluminium and Iron , Our Range Includes Aluminium Bear, Aluminium Camel, Aluminium Camel, Aluminium Deer, Aluminium Elephants, Aluminium Fish, Aluminium Frog, Aluminium Giraffe, Aluminium Horse, Aluminium Kangaroo, Aluminium Lion. Aluminium Duck, Aluminium Frog, Aluminium rabbit. 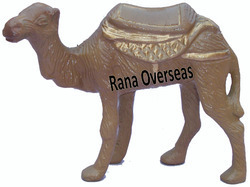 Rana Overseas leading Manufacturer, Supplier and Exporter of Metal Figurines, We have a wide range of Metal Figurines in Brass, aluminium and Iron , Our Range Includes Brass Bear, Brass Camel, Brass Deer, Brass Elephants, Brass Fish, Brass Frog, Brass Giraffe, Brass Horse, Brass Kangaroo, Brass Lion. Brass Duck, Brass Frog, Brass rabbit, Brass Snail, Brass Tortoise, Brass Swamp Deer. 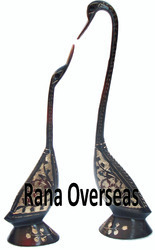 Rana Overseas leading Manufacturer, Supplier and Exporter of Metal Figurines, We have a wide range of Metal Figurines in Brass, aluminium and Iron , Our Range Includes Brass Bear, Brass Camel, Brass Deer, Brass Elephants, Brass Fish, Brass Frog, Brass Giraffe, Brass Horse, Brass Kangaroo, Brass Lion. Brass Duck, Brass Frog, Brass rabbit, Brass Snail, Brass Tortoise,Brass _Panther, Brass Swamp Deer. Aluminium Metal Decorative Bear 1 Rana Overseas leading Manufacturer, Supplier and Exporter of Metal Figurines, We have a wide range of Metal Figurines in Brass, aluminium and Iron , Our Range Includes Aluminium Bear, Aluminium Camel, Aluminium Camel, Aluminium Deer, Aluminium Elephants, Aluminium Fish, Aluminium Frog, Aluminium Giraffe, Aluminium Horse, Aluminium Kangaroo, Aluminium Lion. Aluminium Duck, Aluminium Frog, Aluminium rabbit, Aluminium Snail, Aluminium Tortoise, Aluminium _Panther, Aluminium Swamp Deer. 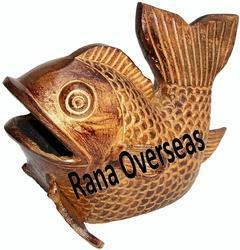 Rana Overseas leading Manufacturer, Supplier and Exporter of Metal Figurines, We have a wide range of Metal Figurines in Brass, aluminium and Iron , Our Range Includes Aluminium Bear, Aluminium Camel, Aluminium Camel, Aluminium Deer, Aluminium Elephants, Aluminium Fish, Aluminium Frog, Aluminium Giraffe, Aluminium Horse, Aluminium Kangaroo, Aluminium Lion. Aluminium Duck, Aluminium Frog, Aluminium rabbit, Aluminium Snail, Aluminium Tortoise, Aluminium _Panther, Aluminium Swamp Deer. 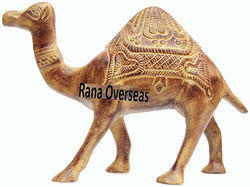 Rana Overseas leading Manufacturer, Supplier and Exporter of Metal Figurines, We have a wide range of Metal Figurines in Brass, aluminium and Iron , Our Range Includes Aluminium Bear, Aluminium Camel, Aluminium Camel, Aluminium Deer, Aluminium Elephants, Aluminium Fish, Aluminium Frog, Aluminium Giraffe, Aluminium Horse, Aluminium Kangaroo, Aluminium Lion. Aluminium Duck, Aluminium Frog, Aluminium rabbit, Aluminium Snail, Aluminium Tortoise, Aluminium , Aluminium Swamp Deer. Brass Metal Decorative Pair of Duck Set 1 developed from Brass Metal. 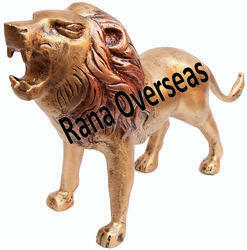 Rana Overseas leading Manufacturer, Supplier and Exporter of Metal Figurines, We have a wide range of Metal Figurines in Brass, aluminium and Iron , Our Range Includes Aluminium Bear, Aluminium Camel, Aluminium Camel, Aluminium Deer, Aluminium Elephants, Aluminium Fish, Aluminium Frog, Aluminium Giraffe, Aluminium Horse, Aluminium Kangaroo, Aluminium Lion. Aluminium Duck, Aluminium Frog, Aluminium rabbit, Aluminium Snail, Aluminium Tortoise, Aluminum Panther, Aluminum Swamp Deer. 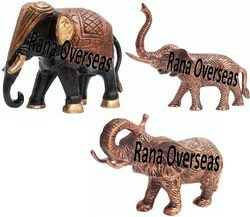 Rana Overseas leading Manufacturer, Supplier and Exporter of Metal Figurines, We have a wide range of Metal Figurines in Brass, aluminium and Iron , Our Range Includes Brass Bear, Brass Camel, Brass Deer, Brass Elephants, Brass Fish, Brass Frog, Brass Giraffe, Brass Horse, Brass Kangaroo, Brass Lion. Brass Duck, Brass Frog, Brass rabbit, Brass Snail, Brass Tortoise,Brass_Panther, Brass Swamp Deer. Rana Overseas Leading Manufacturer Supplier and Exporter of Decorative Animals, We developed decorative table top and Garden Animals in Aluminium Metal, Brass Metal and Iron Metal and We also make Brass Metal Nakkashi Work Decorative Animals and Our Wide range Aluminium Bear, Aluminium Camels, Aluminium deer, Aluminium Elephants, Aluminium Giraffe, Aluminium Horse, Aluminium Kangaroo, Aluminium Fish.